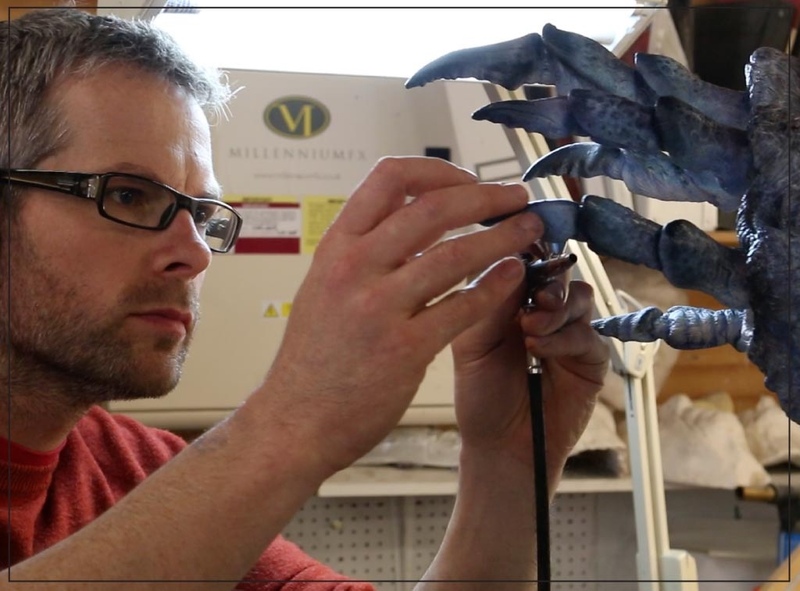 Rob Mayor is a prosthetics designer and co-owner of Millennium FX. 2016 marks Rob’s 20th year in the industry. After graduating from the London College of Fashion, he cut his FX teeth on films such as ‘Event Horizon’ and ‘Ronin’ at the iconic Image FX before going freelance. As a freelance artist Rob worked on a vast array of features such as ‘Saving Private Ryan’, ‘Gladiator’ and ‘Black Hawk Down’ before starting as a prosthetics supervisor for the 2005 reboot of ‘Doctor Who’ at Millennium FX. Since becoming Managing Director and co-owner of Millennium, Rob has been the prosthetics designer on over 30 different productions and designed/supervised over 150 episodes of ‘Doctor Who’, ‘Torchwood’ and ‘The Sarah Jane Adventures’. Outside the Who-niverse, Rob’s other movie credits include Joe Johnston’s ‘The Wolfman’ as well as being prosthetics designer and co-designer on the recent 20th Century Fox feature ‘Victor Frankenstein’, supernatural horror ‘The Forest’ and the upcoming sci-fi adventure ‘The Titan’. Other TV work includes ‘Critical’ for Sky 1 and ‘Toast of London’ and he was Lady Gaga’s personal prosthetics artist for her Born this Way promotional campaign.